I'm kind of obsessed with wearing all black everything all the time no matter what season, so I think its definitely refreshing to put together an all-white ensemble. The beauty of white, is how it can be taken either very romantic, lacey and feminine or to a more modern and dressed up feel with the white suits and crisp silhouettes. What do you think about all white for spring? 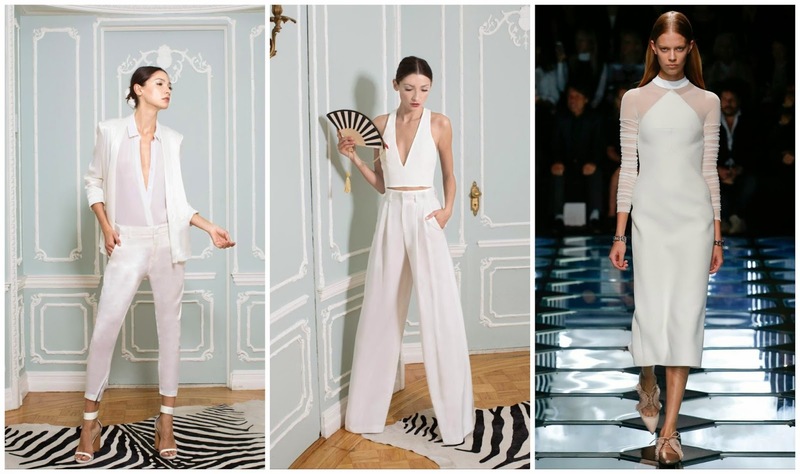 I've always been very weary about wearing white pants, but this is one trend that I may try! I actually already have an all white ensemble that I've styled, and will need to share once its warmer out.